Do you have ash trees in your yard? Not sure? The experts from T & L Tree Services can come by for an inspection to tell you if you have ash trees and if you do, how to care for them and prevent them from being infested by the Emerald Ash Borer. This little green beetle is causing massive devastation to our area’s ash trees – if we don’t stop them, we will continue losing trees at an alarming rate. Adult EABs are typically ½ inch in size. They feed on the ash tree leaves as adults but do little damage to the actual tree. 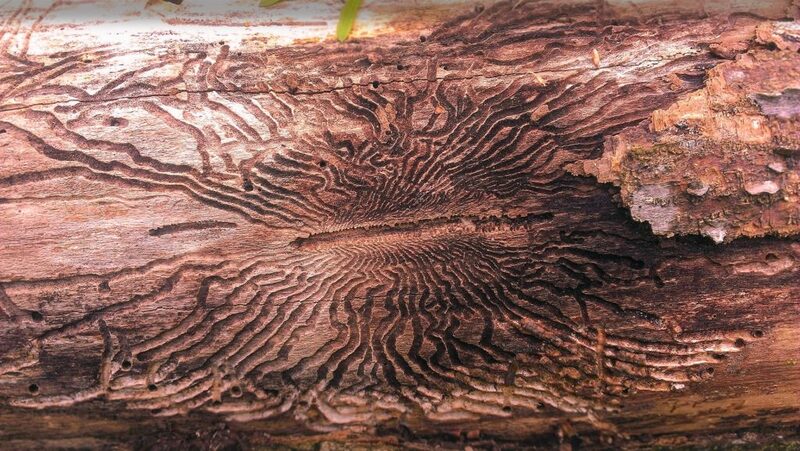 However, the larvae do extensive damage as they feed on the water and tree nutrients just under the bark. Without proper water and nutrition, a tree may not survive an infestation of EAB larvae. They are small but dangerous and need to be prevented. The Emerald Ash Borer has been identified in over 42 Missouri counties, including St. Louis County. Our ISA Certified Arborists know exactly how to handle pests like the EAB. The good thing is that infestations can be treated and prevented with the proper preventative treatments and the right nutrients. At T &L Tree Service, we don’t simply treat the soil around the trunk of the tree as that tends to not be as effective. We use an injectable product that goes straight into the tree. Why is this important? Instead of spraying the ground surrounding ash trees with chemicals, we take a different approach. We have found a more effective and less environmentally impactful way by directly injecting the affected ash trees with preventatives. The injections last longer than the typical ground treatment options, lasting up to two years per treatment. This procedure is also most cost-effective and offers wide-spread protection when compared to other treatment options. In fact, our preventative system protects your trees from over 25 different tree pests. Additionally, it is safe for pets and animals as they can’t get into it. If you see any of following signs – contact us right away.